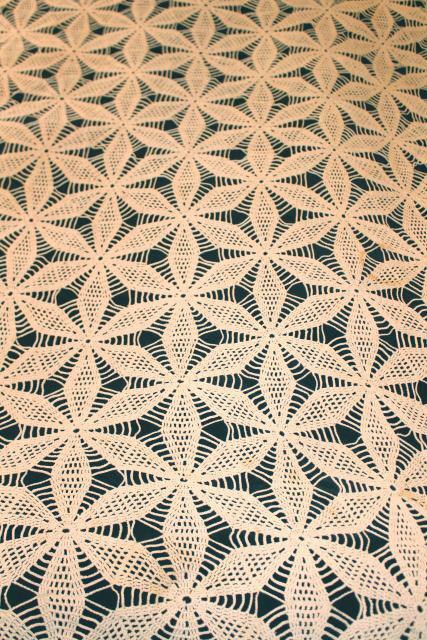 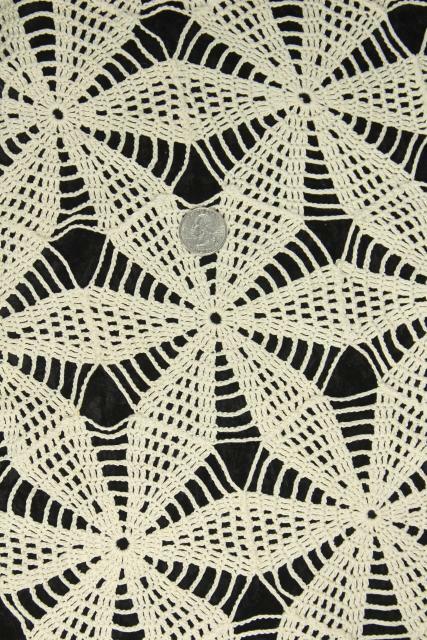 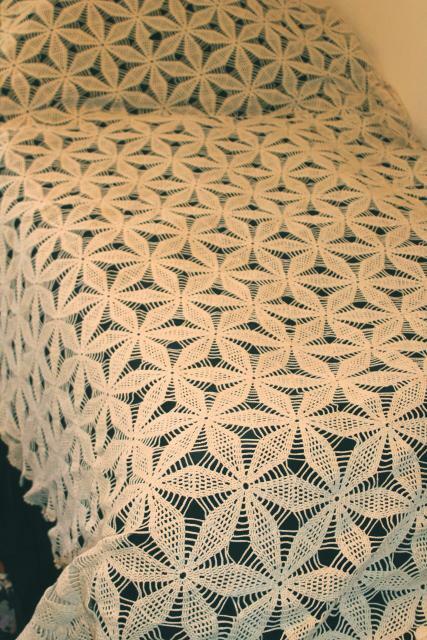 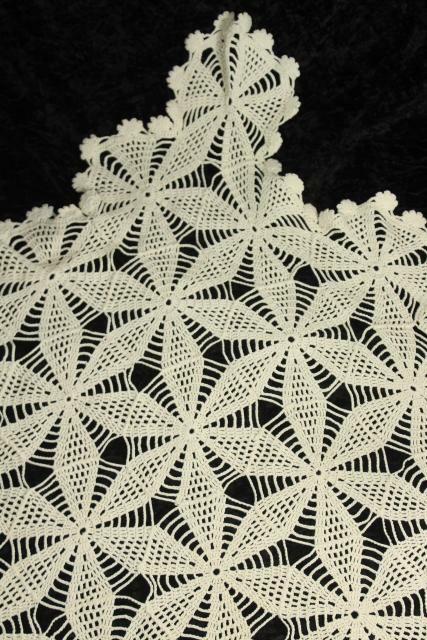 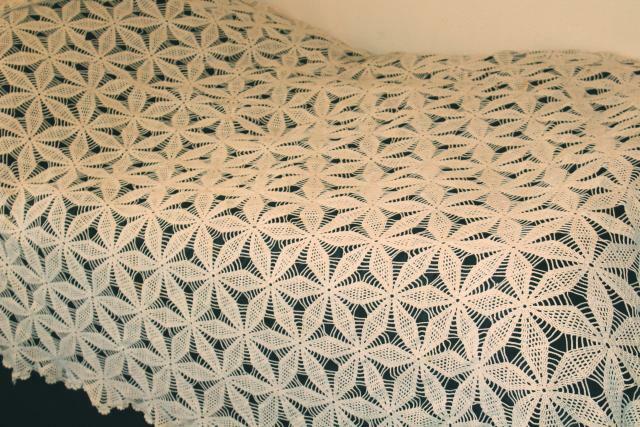 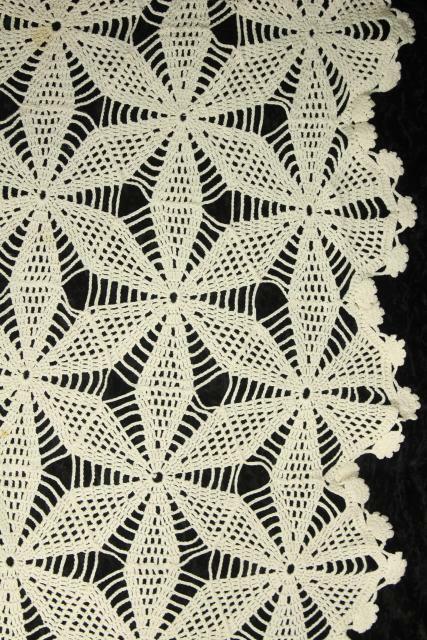 Handmade crochet lace bedspread with star motifs, about 72" x 102" overall. 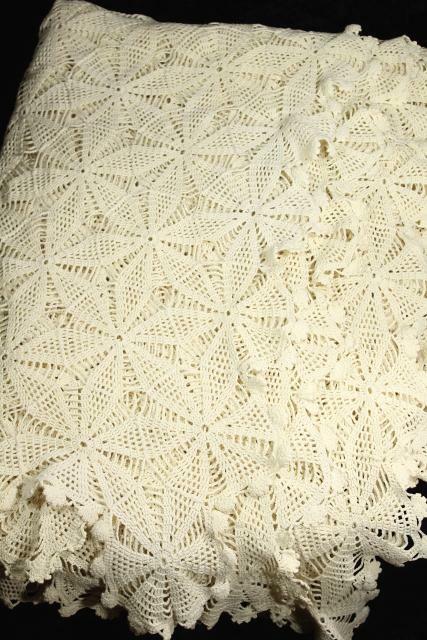 This is a little stained and spotted (we haven't soaked this, or attempted to remove the spots). 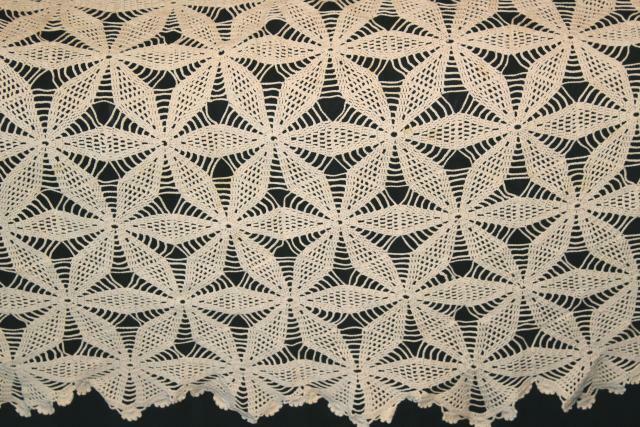 It's in good shape structurally, without holes or thinning.